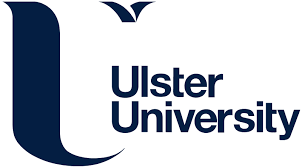 University Alliance today publishes its latest policy report, on tackling barriers to the expansion of technical and professional options for learners and examining how the post-18 qualifications system can operate in a more joined up way. Ladders of Opportunity looks at the extensive range of university provision from sub-degree qualifications (Levels 4 and 5) through to postgraduate study (Levels 7 and 8). The findings shed a light on diverse pathways, qualifications and experiences of students, as well as the challenges currently facing provision at each level. The findings have particular relevance in the context of the government’s Post-18 Education and Funding Review and broader discussions on the ways in which different parts of the education system can work in a more joined up way and provide the skills the economy needs, including the Opposition Labour Party’s plans for a National Education Service. Its recommendations include better recognition of technical achievement at Level 5 within existing degree programmes, to reflect the fact that degrees (at Level 6) already include assessment and components at this level. Reflecting employer needs at Levels 4 and 5 in specific occupations and sectors, the report suggests introducing greater flexibility in funding to support holders of degrees or postgraduate qualifications to undertake professional accreditation at these levels in explicitly occupational programmes, on the same basis as the new Master’s Loan. To support innovation and greater diversity in course provision and delivery, the report also recommends greater flexibility in the final year of degree programmes to allow greater self-direction, independent projects and or deferred progression. In the same way that institutions have procedures for accrediting learning and experience prior to starting a course, this could take the form of accreditation for extended or experiential learning gained after completing a course in a workplace or applied setting. “Too often in debates on higher education the significant and varied role of universities in providing technical and professional education – which lead to a range of qualifications at different levels, not just the traditional three-year full time degree – is overlooked entirely. “At the same time, creating a rigid divide between ‘academic’ and ‘technical’ streams is both misleading and damaging. In reality, we need graduates with the right blend of skills and competencies, which can be aligned to specific sectors and occupations. 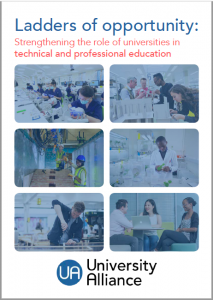 We have also published a series of case studies which showcase the distinct technical and professional education that Alliance universities offer their students.